Competing for clicks and conversions is like participating in a sprint. The difference between gold and silver is often just milliseconds apart. Likewise, when it comes to competing in Google Ads, an extra second of load time on your site can be the difference between a conversion and bounce. In a 2015 study, Microsoft found that the average person's attention span shrunk from 12 to eight seconds between 2000 and 2013. To put that into perspective, a goldfish’s attention span is nine seconds (that’s right, we’re lagging in the wake of our orange-finned friends). Furthermore, if this pattern continues at the same percent decrease, our 2018-attention spans in 2018 are less than seven seconds. So, what does this mean for businesses? It means their websites need to keep pace search-obsessed consumer. Without a doubt, your ad relevance, keywords, and landing page content will always play an integral role in your ranking, but if your viewers are sitting on their hands, waiting for your page to load, you can kiss the chance of a high conversion rate goodbye. 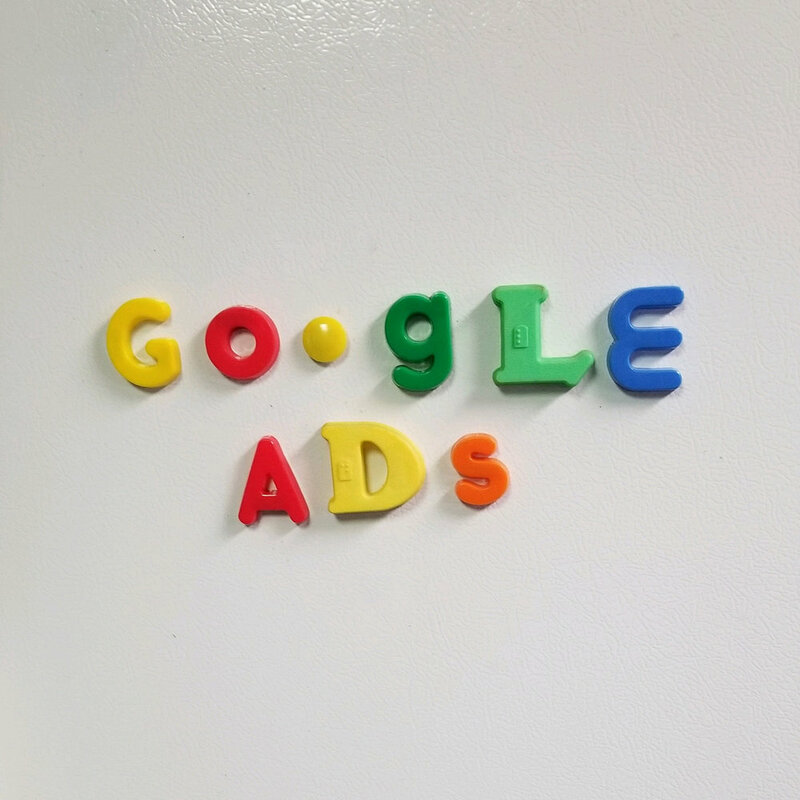 This is because your Google Ads rank takes multiple factors into consideration, as it determines how much you‘ll pay for your spot in the ad auction as well as where your ad is shown (or whether your ad will show at all). To minimize your cost-to-click and boost the position your ad, your copy needs to be compelling and your website needs to run like Usain Bolt. Although Google has always been somewhat cryptic about its search signals (both paid and organic) they do provide tools for account managers to see how their ads rank against their competition as well as testing their website speed. The latter is especially helpful as MOZ completed a study in which researchers found a clear correlation between a decreasing ad rank and the amount of time it takes to receive the first byte of information. The time it takes you to see your content when you go onto your own site isn’t necessarily the same wait time as your potential customers. Thanks to caching, when a user visits a webpage for the first time, the browser stores items, such as logos, images, and CSS files, to limit the number of requests required on the next visit. Essentially, caching results in a faster load time for repeat visitors, but for first-time visitors, the load time will inevitably be longer since the cache is storing sizable elements of the website during the initial visit. This is why it is vital to use a third-party to provide a diagnostic of your load time to see how the customers view your website. One of the most well-rounded development tools, Lighthouse, is a Google Chrome extension that examines websites to find their overall performance. After a site has been analyzed, a report is generated with suggestions on how to increase your overall Google search ranking. As you site improves, your Google Ads Quality Score increases. After determining the load time of your website, pay special attention to the device your customers are using to access your website. StatCounter Global Stats found that mobile phones have accounted for more than half of all internet usage, between 2009 and 2016. With all this on-the-go traffic, load time has become one of the most critical elements of the customer journey. In fact, Think With Google found that if a mobile site takes longer than three seconds to load, 53% of visits are abandoned. With bounce rates that high, you’d think that marketers would be racing to find ways to boost their speed, but a whopping 70% of mobile landing pages still take more than five seconds to load. Furthermore, if the load time nears 10 seconds, the probability of the visitor bouncing increases by 123%! Research from Yahoo found that 80% of a websites load time is dedicated to downloading different parts of a website, such as images, stylesheets, and scripts. After tracking your website's performance with Lighthouse, you’ll receive a report that includes ways to improve the website, including the loading time. Improvements may be comprised of compressing images, minimizing extra code, and avoiding URL redirects (pst, if you’re busy running your business, reach out to Ethos Copywriting and we’ll get your site up to speed and optimize your Google Ads campaigns). If you have a photo-heavy website, compressing your images could lead to a significant improvement in your Google Ad rank (and overall site experience). In fact, Google found that 25% of webpages in the retail, travel, or healthcare sectors can decrease their site by 250KB, which depending on the internet speed, could equal about one second. Furthermore, an additional 10% of websites can save 1MB (1MB is equal to 1024 KB) or more—just by compressing a few pictures and text. To put this in perspective, the average size of a webpage in the United States is about 3MB, but the best practice is less than 1MB. Most compression programs or platforms take redundancies—or similar colors and shapes—in a picture and cut them down to form a smaller pixelated image. This is why people often use JPEG formatted pictures or an online platform to keep their website operating quickly. However, depending on your industry, image compression may not be the best option. For instance, if you are showcasing photography on your website, the quality of your pictures will suffer from being compressed. If this is the case, there are still a variety of ways to decrease your load time. And sometimes, leaner is better too. Once the extra code is eliminated, go through all the content that is connected to your website. Moz recommends removing HTML comments, whitespaces (also known as the spaces between graphics, images, text, etc) and empty elements (code that has an open tag but no content or closing tag) to save up to 620B towards your loading time. Additionally, because extra time is dedicated to downloadable attachments, it’s important to keep documents the smallest possible size. Never linking to URLs that are known to redirect. Never requiring viewers to redirect more than once. Minimizing the number of domains—the misspelled/mistyped URLs—that link to your own. Moreover, Moz reports that external redirects single-handedly create the greatest latency in load time. Just by eliminating the need for rerouting your website users, you are increasing your Google Ad ranking. Staying competitive in the Google Ads auction can be a tiresome process. It requires parsing through data, experimentation, meticulously search-optimizing your pages, removing extraneous code, and compressing photos and videos in order to appear in the conversion-worthy territory. If you’re in need of help running Google Ads campaigns, reach out to Ethos Copywriting to keep you on track. From creating high-quality website content and crafting captivating ads to minimizing cost per click and slashing load time, we’re here to simplify your pay-per-click (PPC) ventures. If you’re interested in learning more about our services, click here to contact us.